When Céline’s Alphabet jewellery was introduced as part of the Fall 2017 runway, its stylistic possibilities seemed limitless. Available from A to Z, the 26 bamboo-textured gold initials were worn on a chain necklace, a triple-charm jersey necklace, or dangled from a dress’ back zipper, even. Versatility was the underlying purpose behind the creation of these wearable letters; amping up personalisation on the label’s well-loved garment line. In all their rustic glory, these alphabetical pendants are now the inspiration behind Céline’s capsule collection of Christmas accessories. 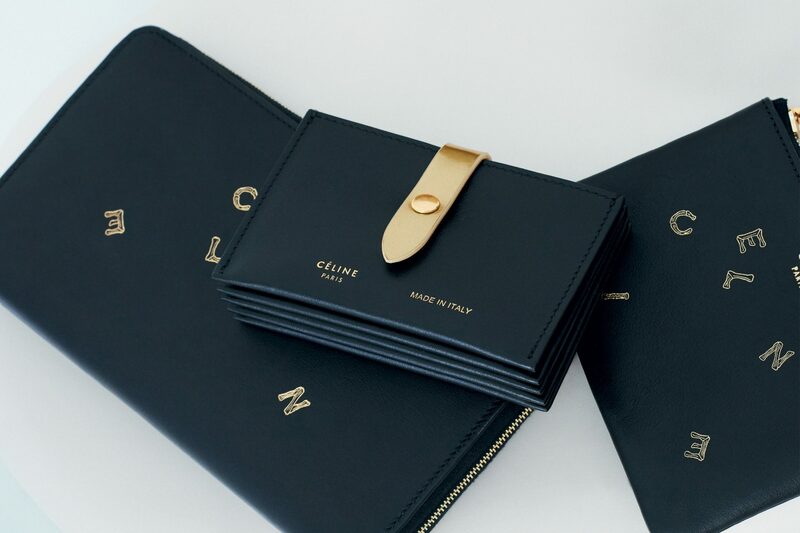 Seven small leather goods — from a metallic card holder to a multi keyring — are translated in shades of black and light gold. Some, like the coin pouch and large wallet, feature stamp animation of the pendants, spelling out Céline’s name with kiddish, twiggy lines. Céline’s Christmas accessories include a multi keyring, a gold metallic wallet, a card holder, as well as a coin and card purse on chain. With the rumoured imminent exit of Phoebe Philo that can possibly take place any time, this may well be her final festive offering. These pieces are the streamlined, refined, and completely functional gifts no one would be dismayed to pull out of their stockings on the morning of Christmas. Philophile or not. Céline’s Christmas accessories are now available at its Marina Bay Sands boutique. Prices range from S$420-S$950.